Google Home keeps getting updated with new and better features. 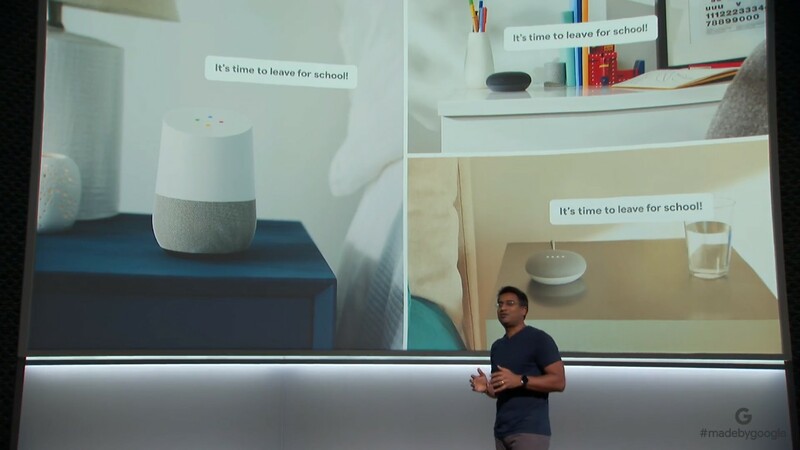 An addition that was announced at today's Google event that will be particularly useful for families with kids — especially ones with larger homes — is the ability to broadcast a message across all Google Home devices around the house. Growing up in a large family, I'm well acquainted with having your parents call out from the kitchen or driveway to bring everyone down to the dining table or in the car to leave for school. Now, using a simple voice command "Hey Google, broadcast INSERT MESSAGE HERE," Google Home can now relay any message all over the house — no screaming required.